This month my stack is AMAZINGLY PATHETIC. I'd been trying to give myself little bite sized chunks to work with on a monthly basis, using Nightstand as a way to think in baby steps. However, this month I feel like my Nightstand just crumbled under the weight of a kabillion books and I don't even know where to begin picking up the pieces. Mostly, I've just tried reading a little bit of everything, trying to cover all my bases. Doesn't really help in the sanity department, but at least I'm not drowning. I think. And I WILL be reading Esther which is part of the Great Lives Series by Charles Swindoll that I've committed to reading during 2010. Click here to read my review of David, which is the first book in the series and the one I just finished reading. I'm excited to be reading this series with Jonathan as it gives us plenty to talk about between the two of us and I'm also excited to share it around these parts. I'm really glad to be giving myself a month to read each book in the Great Lives series as it allows for me to take each book in small chunks so that I can better glean and learn. I have a smattering of other books scattered all over my house but these are the ones screaming for my immediate attention so they'll get the mention on this month's Nighstand. In the meantime, what are you reading? I'm excited to find out! 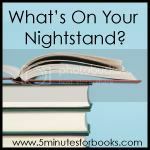 Link up your What's On Your Nighstand post over at 5 Minutes for Books and join in with us in sharing what has your attention these days. 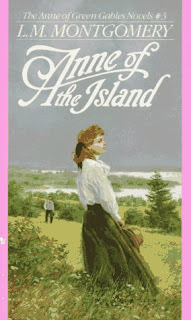 Oh gosh, I loved the Anne of Green Gables series - I remember just devouring them as a teen. I should re-read them, I bet they're quite enjoyable! Happy reading! Aw, just read what you want! 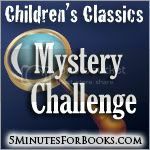 Who cares if it's all mysterious and Anne. . . .
That Cherry Ames book looks so familiar! I may have come across that in my youth (although my faves were the Trixie Belden series.) Happy Reading. Hope you'll leave a review of "Becoming Spiritually Beautiful" when you finish it. I love the title. Thanks for sharing your list. Anne of the Island was very good. I am looking forward to reading your thoughts on Esther! The Esther book looks very cool - happy reading! Great list. I definitely have too many books, but I don't let that stop me from picking up more either. Good luck with all your reading. I'm re-reading Anne now on my eBook reader. 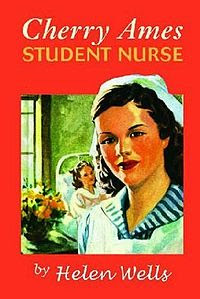 and the cover of that Student Nurse is too funny. I have read good things about Thicker Than Blood and want to read it. I haven't read any of the Swindoll books, but after reading your review of David, I plan to do so in the future! Thanks! I just did Beth Moore's bible study of Esther & it was really good. It read like a story and I like that.